Seems like my wait for the treat will be over in a couple of days. 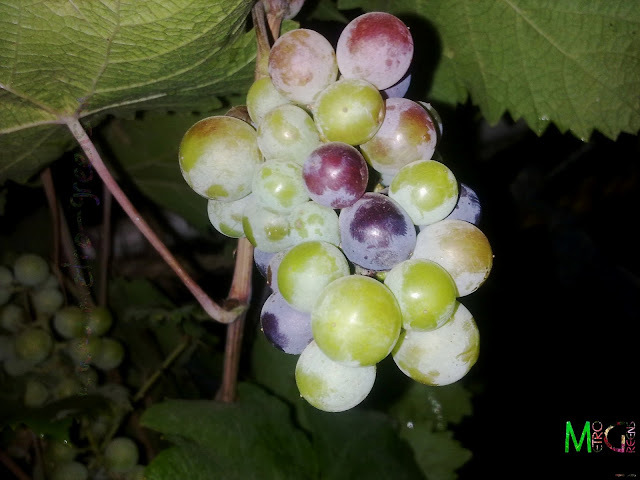 The bunches of grapes on my small grapevine have started showing off some colour. The grapes have grown on to become the black coloured ones. Unfortunately, this is not a very great variety of grapes, the grapes didn't grow big, mostly are 0.5 to 0.7 cms in diameter, and are round, and contain many seeds and too less flesh. 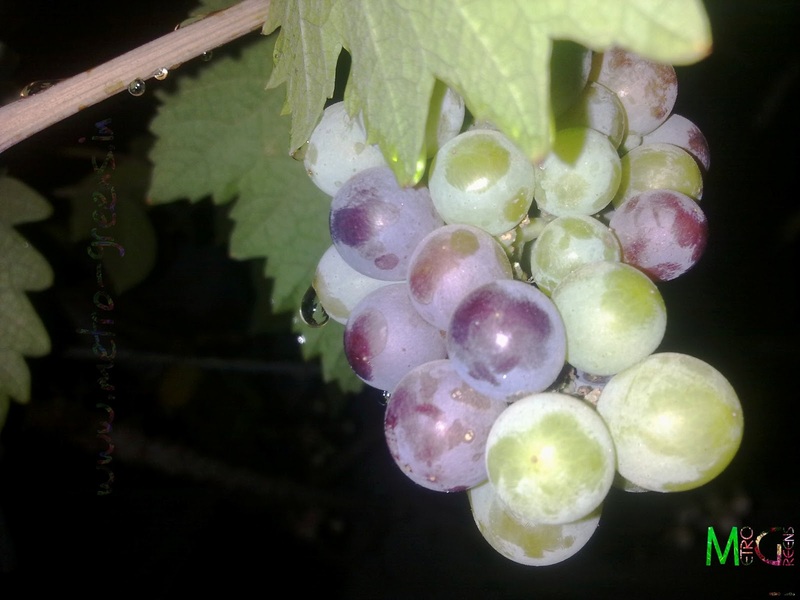 However, the grapes, once ripened, taste sweet. Also, now, I've noticed that something is feasting off on the ripened grapes, as I can see a number of grapes skinned or either eaten up by something. Anyhow, here are a few shots, I took of some of the bunches which have started to ripen. 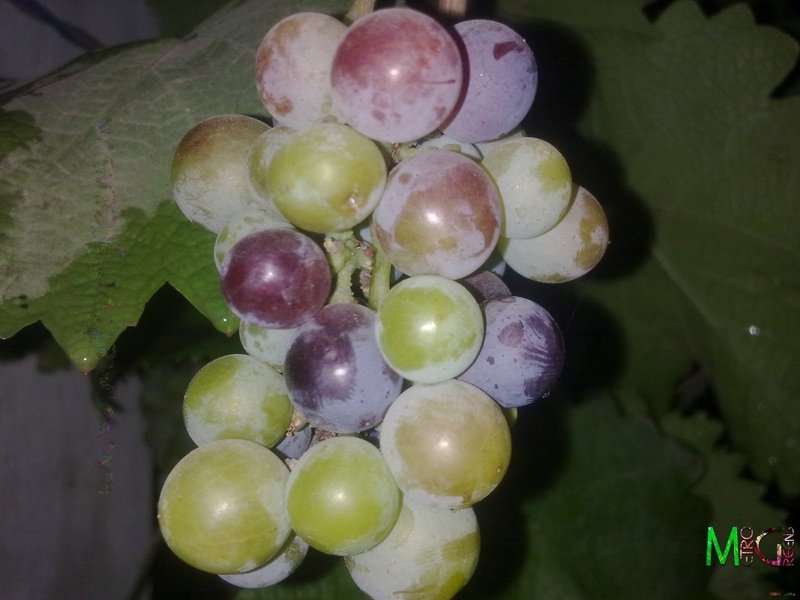 A bunch of ripening grapes. Will be back soon with some more content intended to inspire you to practice gardening. Till then, keep visiting and HAPPY GARDENING! Ahhh, but the greatness is in the sweetness(I do not know if that made sense) anyway, lovely pictures, I will try to plant some too. Thanks, for your comment Tobiloba. Your comment made a great sense, and I agree with that. I'll look forward to see you plant some.